If you’ve got the Game Of The Year award under your belt then one of your first thoughts will be where you can improve on things and how soon you can get a follow up out in order to maximise your reach. 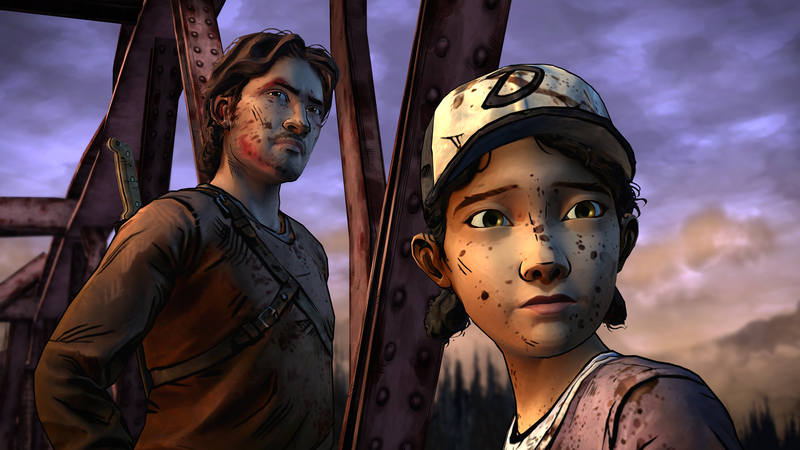 Back in 2012 Telltale Games struck gold with The Walking Dead Season One, with an outstanding story mainly focussing on the relationship between two strangers; the now deceased Lee and a young girl, Clementine. It was a story that pulled at all heart strings by ultimately putting the destiny of all the characters in the gamers hands. There were decisions to make and plenty of consequences to deal with but it was something that engrossed everyone who played it and rightly walked away with the best awards going. A little over a year has passed since we were playing the first season and the focus has had to shift a little. From trying to protect Clementine via Lee’s eyes in a third party perspective, Xbox 360 owners now have direct control over where Clementine goes, the decisions she makes and how she, as a young girl, reacts to the strangers that she will meet. Oh, she’ll also need to fight off all manner of walkers along the way, whilst trying to find enough food to get her through the day and a safe enough place to shelter down at night. So has a year been long enough to create a solid story? Or should a little more time have been spent between the two seasons? 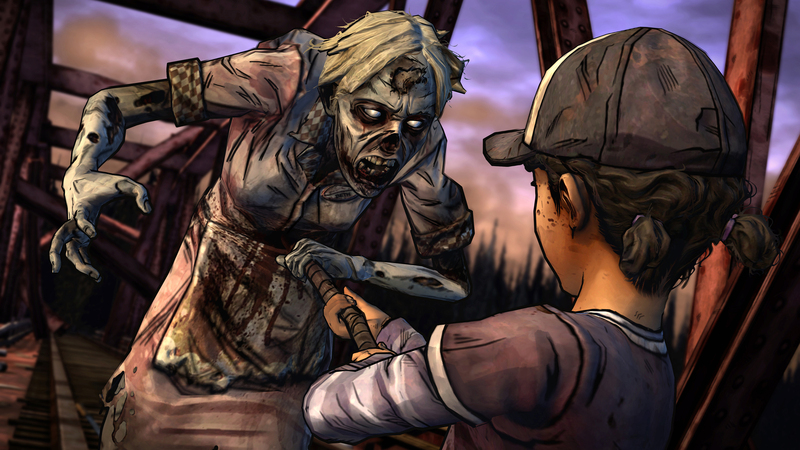 The Walking Dead Season 2 Episode 1: All That Remains should hopefully answer those questions. Set over the course of roughly 16 months, Episode 1 will become instantly familiar to all those who played the first season as the point and click nature, the controls, the quick time events and the superb art style are all exactly the same as the first time round. The series prides itself on the fact that all actions you take will make a difference to the overall story, both in the short and long term, and any decisions you made in season one will be carried over to this season. Without going into too much detail and throwing in spoilers, for the most part this will come in the form of Clementines memories as we see very few characters from last time round making a reappearance here. If you are one of the few who haven’t played Season one, and are jumping in blind with the second season (shame on you! ), then thankfully the game will auto generate any significant points of the story to date and will briefly run through these before the episode starts. I had a problem in that the game couldn’t find my previous seasons save and so whilst I would have liked to have continued Clems story with all my own decisions still intact, I wasn’t able to. Disappointing yes, but it was something that was quickly forgotten as I got further into the story. Much of the 100 minutes or so of action focus on Clementine sneaking around the zombie filled world whilst learning how to fend for herself in the best possible way. The episode contains an awful lot of investigation work, especially when coming across abandoned shelters but this is broken up nicely by a decent number of interactions with fellow survivors (both good and bad), with a personal highlight being the opportunity to build up a connection with a stray dog. The story is without the massive relationship building that was found previously but it’s still as solid as before and whilst the first season exploded on to our consoles, this one takes a much more sedate pace. There are a few quick time events included and these mostly centre around avoiding the undead but these are few and far between. As has always been the issue – and the same goes for Telltales other hit 360 game, The Wolf Among Us – the QTE’s see a fair bit of stuttering and the occasional slowdown. It would have been nice to have seen these issues fixed between the seasons as they most definitely have an effect on the whole gritty atmosphere. Maybe next time eh? Additionally, it’s disappointing that the decisions you make don’t really feel like they are pushing through a significant imprint on any future outcomes. Other than one point in which you have to choose between two characters, the story seems to play out in the same no matter which way you walk down the masses of conversational trees. So, it’s not quite the outstanding start to season two we wanted to see. It’s still good enough as a season opener and sets things up nicely for us to get pretty excited for all future episodes. It’s more of the same old Walking Dead, thankfully with the change from Lee to Clementine not shaking things up too much. Previous articleCall of Duty customisation packs out now. Ghosts multiplayer demo on its way.